Bio-Organics brought Tweak on board to design a new sub range of vitamins and minerals for diabetics, called Glycemix. 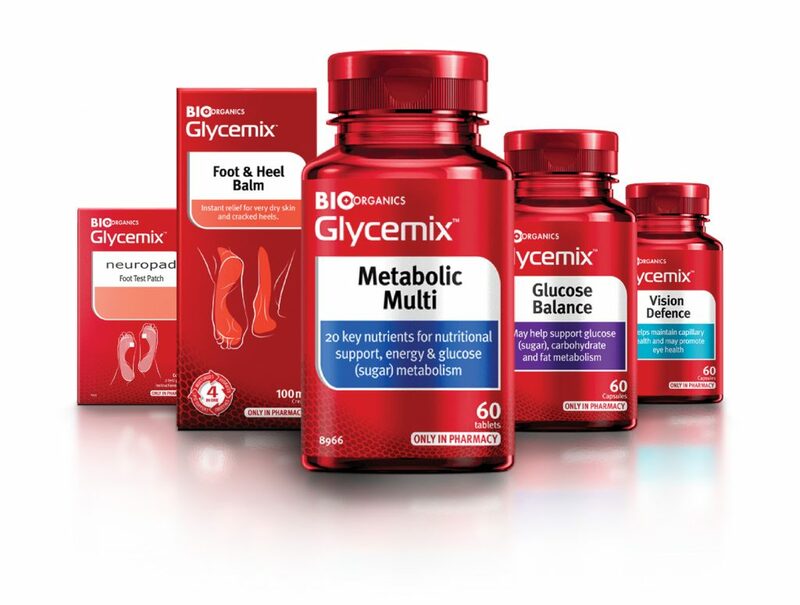 Using the Bio-Organics logo and brand colour of red, Tweak developed a new Glycemix logo and a brand architecture that stands out on the shelf, conveys clinical confidence, and helps consumers with product navigation. Clear typography, distinct variant colours and line illustrations of the human body that depict the area to be treated, distinguish Glycemix from the existing Bio-Organics range. 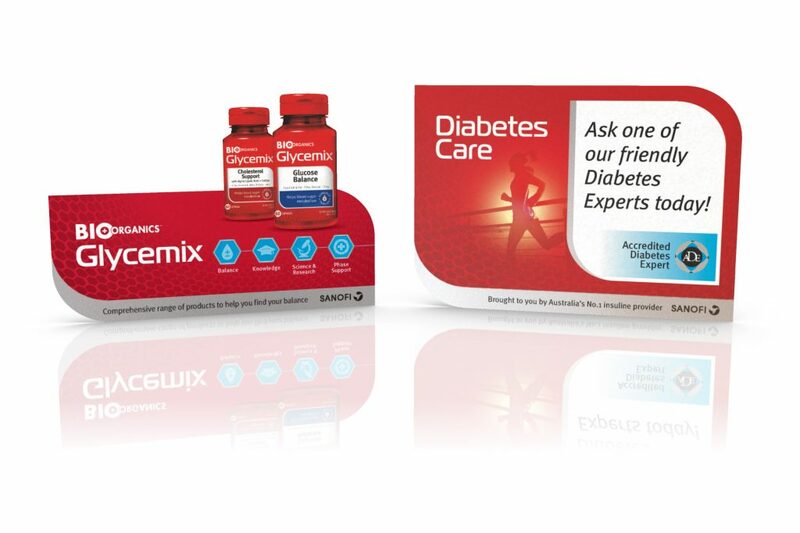 Tweak designed informative branding for a Diabetes Care area that has transformed the approach to in-store diabetes education and management. 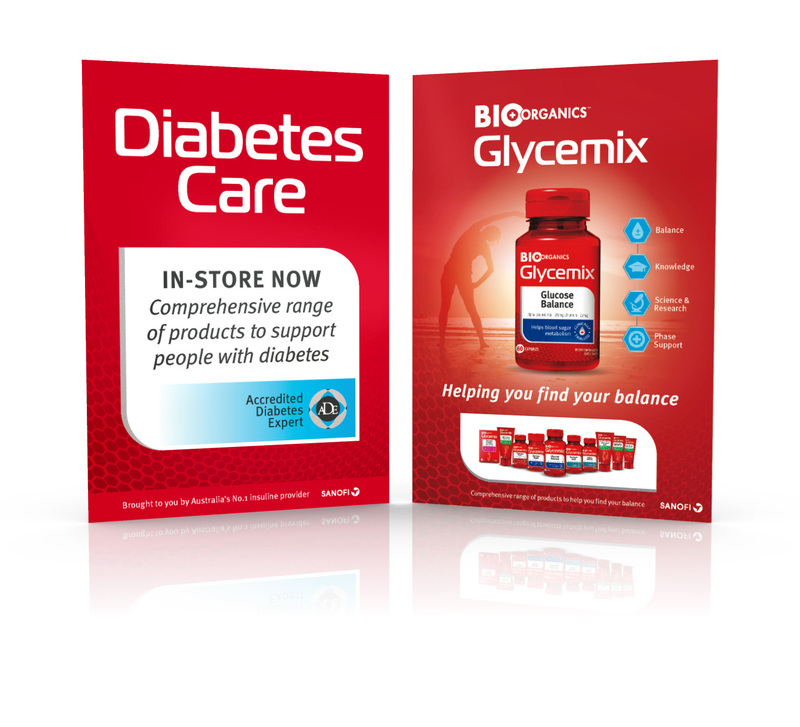 The stand out point of sale branding and new logo helps people living with diabetes to explore Glycemix products and ask for advice. The mark was also used to develop a specialist diabetes advisor logo (SDA) to lead people to the Diabetes Care area. 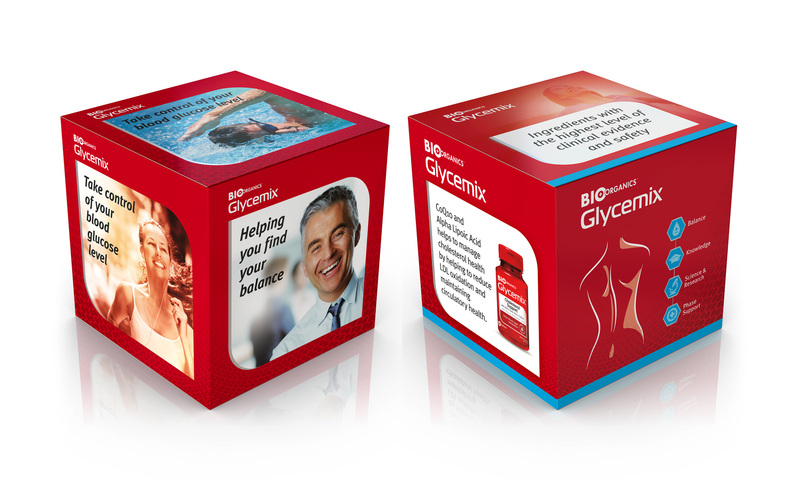 Tweak designed four icons to convey the key areas of expertise of the Glycemix range – balance, knowledge, science & research, and phase support to show how these products can enhance a diabetic’s life.